On the heels of the Superman and Justice League rumors, now a Wonder Woman video game is thought to be in development at WB Games. A user on ResetEra posted information from the Screen Actors Guild production database that offers up working title for what could be in-development WB video games. One of the names listed happens to be "Project Diana," which obviously implies Wonder Woman. The other working titles include "Zeppelin," "Carbon," "Scribblenauts Fiesta," "Saturn," and "Phoenix." It's pointed out that "Zeppelin" was the working title used for Batman: Arkham Knight. "Scribblenauts Fiesta" is known to be currently in development. It's speculated "Saturn" and "Phoenix" could point to projects that both WB Montreal and Monolith started this year. Name and story: The game will be called Wonder Woman: Circle of Light. The game takes place in modern times, at the peak of Wonder Woman’s heroic duties. Two maps: Themyscira and Gateway City. The game is completely open world, with portals that transport you between the different worlds. From what I was told, there is no loading screens. These are two “separate” maps in which you can travel to at any given time, and each has its own side missions and secrets. The games main feature is the story and campaign mode. The game is an RPG. The story revolves around Wonder Woman attempting to stop Circe from being set free from Hades and breaking the Source Wall to rewrite history. The history of the Amazons and Circe have been slightly reworked in the narrative. Circe has a cult that is helping her achieve her goals, both in Gateway and Themyscria. g braid, and jacket variation. In addition, most environments are destructible. Release date is October 8th, 2019. This date celebrates Wonder Woman’s first appearance. There is a multitude of villains/boss fights in this game, some of which aren’t directly tied to Wonder Woman. Here’s who I know are villains based on trailer and gameplay reveal: Circe, Hercules, Doctor Poison, the Furies (not 100% it’s them, but it’s my guess), possibly Brother Blood (another guess) and Killer Frost (the boss fight teased in the gameplay reveal). 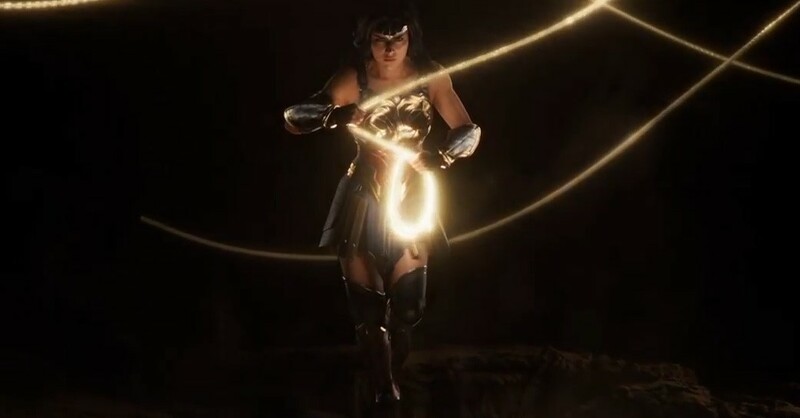 Osama Dorias told us that they were excited to bring Wonder Woman into the game universe, and connect her to the DC in an emotionally satisfying way. Tomorrow happens to be The Games Awards, so perhaps an announcement or two will be forthcoming at the event. Regarding the Justice League and Superman video game, information leaked out that it may have started off as a Worlds Finest game before becoming a full-blown Justice League game. NEXT ARTICLE →Tom Holland On Avengers 4 Spoilers: "They'll Shoot Me"